Every fire damage event is different, and requires a unique solution, but the general process stays the same. The steps listed below illustrate our process for the “typical” fire damage emergency. Wales West Cottontail Express has been rolling since March 23 and concludes next weekend at Wales West Light Railway, 13670 Smiley St., Silverhill. Every Saturday and Sunday, from 11 a.m. to 4 p.m., the Cottontail Express pulls out of our train station and makes its determined way across the awakening landscape of Baldwin County. The experience also includes an Easter egg hunt, treats and refreshments, and a visit with the Easter Bunny. Admission is free for ages 2 and under. For all others, the cost is $15 per person. Group rates are available. For more information call 251-232-2322; or go to waleswest.com to purchase tickets. Marlow United Methodist Church will host its annual Easter Egg Hunt beginning at 10 a.m. Saturday, April 13 at the church, corner of County Road 9 and County Road 28. All children in the community ages grade six and under are invited to come join us for some Easter fun. Please bring your own basket. Light refreshments will be served. For more information call 251-988-8563. Silverhill First Baptist Church will host its annual Community Easter Egg Hunt beginning at 1 p.m. Sunday, April 14 at Silverhill Heritage Kids Park, corner of South Avenue and First Street. The event will include an age-divided egg hunt with prizes, inflatables, candy, hot dogs, chips and lemonade. For more information visit the Silverhill First Baptist Church Facebook page. Alabama 200 Bicentennial Pre-Easter Festival will be held from 1 to 5 p.m. Sunday, April 14 at Bicentennial Park, 51233 Alabama 225, Stockton. The event includes pony rides, a historical Easter egg hunt, petting zoo, face painting, train rides and hay rides. The Easter Bunny will also be on hand to greet young visitors and for photo opportunities. Admission is free. For more information contact the Baldwin County Department of Archives & History, 251-580-1897. Easter Eggstravaganza, hosted by The Lighthouse of Baldwin County, will be held from 10 a.m. to 1 p.m. Friday, April 19 at Garrett Park in Robertsdale. Join The Lighthouse in support of Sexual Assault Awareness Month in April. 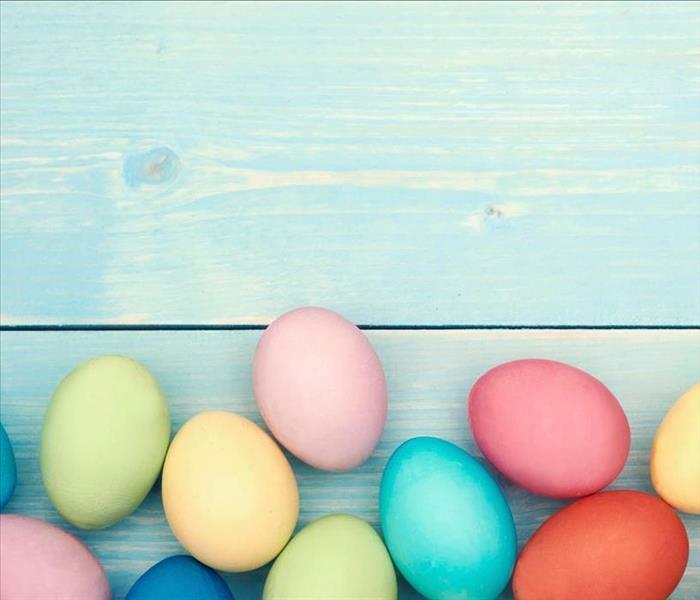 Activities include jump houses, pony rides, face-painting, free sno cones just for children and Easter egg hunts separated into age-appropriate zones. A kiddie pool is also available stuffed with Easter eggs for those 2 and under. Egg hunt begins promptly at 11 a.m. For more information call 251-947-3414. For more information on this and other upcoming events visit The Lighthouse of Baldwin County’s page on Facebook. Easter egg hunt, hosted by the Town of Loxley and coordinated by The Loxley Volunteer Fire Department Auxiliary and the Loxley Church of God, will be held from 10 a.m. to noon Saturday, April 20 at Loxley Municipal Park, 4198 Municipal Park Drive, off of Alabama 59. The event will include several fun activities for children of all ages. For more information call the fire department, 251-964-6000, the church, 251-964-6604 or town hall, 251964-6444. Town of Summerdale Easter Egg Hunt will be held beginning at 10 a.m. Saturday, April 20 at the Community Center Park, 300 W Jackson Ave. For more information call Town Hall at 251-989-6202. The Gulf Shores and Orange Beach Lions Clubs are working together to build a park with a baseball field and playground facility designed to remove barriers that keep disabled residents off the field. The Miracle League fields will be located at 1545 Gulf Shores Parkway Box 159 in Gulf Shores, near Gulf State Park and Shelby Lake. The park will accommodate wheelchairs, walkers and other assistive devices while helping to prevent injuries. For many, it will be their first opportunity to play side-by side with family and friends in an atmosphere where everyone benefits. The main obstacles for these individuals come from playing on natural turf fields used in conventional youth baseball leagues.Their fully inclusive playground will be built with the same playing surface as the Miracle League field. The playground equipment will be designed for everyone regardless of mental or physical limitations. To enrich our special needs community by giving them the opportunity to play in a facility that is tailored to their specific needs while, at the same time, providing an environment that benefits everyone regardless of physical or mental limitations. Our team members just returned from SERVPRO Industries in Gallatin, TN where they had the opportunity to obtain their IICRC AMRT certification. The IICRC is the Institute of Inspection Cleaning and Restoration Certification. What is the purpose of the IICRC? Applied Microbial Growth Remediation Technician is just one of the many certifications offered by the IICRC. The IICRC is an organizational body that sets the standards for the Cleaning and Restoration community. The AMRT course teaches course takers the content in the ANSI/IICRC's S520 (Standard for Professional Mold Remediation) with both academic and hands-on lessons set up to emulate actual mold remediation projects. "The ANSI/IICRC S520 is a procedural standard and reference guide for the remediation of mold damaged structures and contents. The ANSI/IICRC S520 is based on reliable remediation and restoration principles, research and practical experience and attempts to combine essential academic principles with practical elements of water damage restoration for technicians facing “real-life” mold remediation challenges. The S520 and R520 are written for use by those involved in the mold remediation industry, and is the result of collaboration among microbiologists and other scientists, public health professionals, industrial hygienists, remediation contractors, restoration service companies, cleaning and restoration training schools and trade associations that service the professional restoration industry, allied trade-persons and others with related professional and practical experience." From on the job training to IICRC certifications and training at our Corporate headquarters, SERVPRO of Baldwin County's trained professionals utilize the latest techniques and technology on every job. If you experience a microbial growth or mold problem, contact SERVPRO of Baldwin County today! 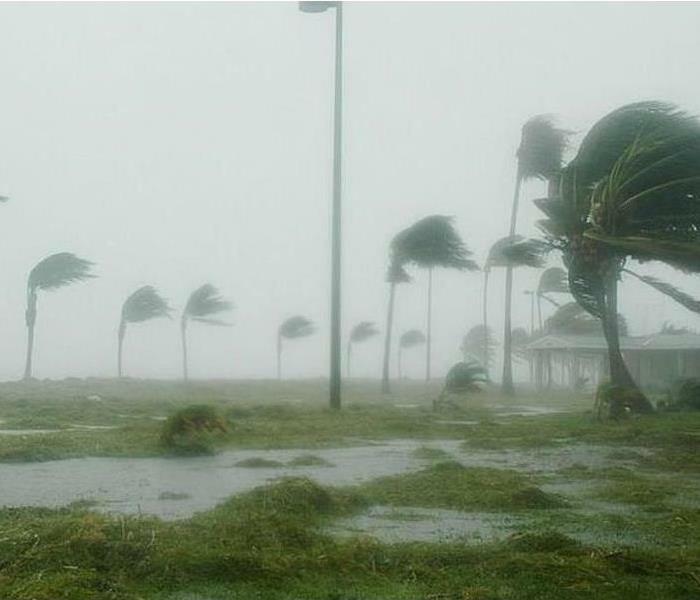 There were 15 named storms, eight hurricanes and two major hurricanes in 2018. The Atlantic hurricane season officially runs from June 1 to Nov. 30. Of course, if a hurricane hit where you live, it was far from an average year. Just ask the folks in the Florida panhandle and the Carolinas. With its 15 named storms, eight hurricanes and two major hurricanes, 2018 matched the early predictions from the National Oceanic and Atmospheric Administration, or NOAA. The agency forecast 10 to 16 named storms, including five to nine hurricanes, and one to four major hurricanes with Category 3 strength or higher, back in May before the season started. An average six-month Atlantic season typically produces 12 named storms, of which six become hurricanes. including three major hurricanes. The 2018 season was defined by two powerful storms that formed in its second half - Hurricanes Florence and Michael. Florence got its start on Sept. 1 as a tropical storm that formed just off the coast of West Africa.On its nearly two-week trek across the Atlantic, Florence strengthened to a Category 4 storm before making landfall near Wrightsville Beach, NC, as a Category 1 hurricane with maximum sustained winds of 90 mph.The rain from the system soaked the region, dumping nearly 40 inches of rain in Elizabethtown, NC, causing widespread flooding that took weeks to recede.At least 55 deaths were attributed to the storm. Property damage and economic losses in North and South Carolina approached $18 billion. Hurricane Michael took a different path, forming Oct. 7 near the Yucatan Peninsula, where the Caribbean and Gulf of Mexico meet.Four days later, Michael made landfall as a Category 4 hurricane in the Florida Panhandle. The storm’s 155 mph winds made Michael the strongest storm to hit the continental U.S. since Hurricane Andrew in 1992. More than one million people, across four states, were left without power due to Michael. The storm killed at least 43 people in Florida and 10 more in Georgia, North Carolina and Virginia. Of those, 21 were in Florida’s Bay County, where the hurricane made landfall, nearly wiping out Mexico Beach. Michael caused more than $14 billion in damages. How can you be prepared? Speak with your insurance agent regarding your coverage. Flood insurance and Hurricane/Wind insurance may not be included in your Homeowners policy. Speak with your insurance agent regarding what amount will allow you the ability to rebuild your home. A lower premium is not always best if it does not cover the costs to rebuild. It's important to have enough coverage! Review your policies before Hurricane season (reminder: it starts June 1st!) with your insurance agent. There is a 30-day waiting period before flood insurance goes into effect. Some times, insurers will not adjust your coverage after a storm is forecast. See this post for information on how you can prepare your family in case of evacuation due to flooding. SERVPRO Teams Up with American Red Cross! We’re thrilled to be partnered with the American Red Cross as a Disaster Responder. Here at SERVPRO of Baldwin County, we’re always “Ready for Whatever Happens” and we want you to be too! You never know when a disaster may strike, so it is important to have an emergency preparedness kit ready to go at a moment’s notice. Food: non-perishable, easy-to-prepare items (3-day supply for evacuation, 2-week supply for home). You never know when a disaster might arise. Keep your Emergency Kit somewhere easily accessible for if and when the time comes that you need it. You should also practice fire drills with your family and plan out multiple evacuation routes should you ever need to evacuate your home. SERVPRO is the only mitigation company with national advertising. You know us and trust us. Effective results are the results of consistent training and execution. Since 1967, SERVPRO Industries, Inc. has been redefining and improving the mitigation and restoration industries. In 1992, the SERVPRO National Training Center was developed specifically to teach restoration and mitigations skills to insurance industry employees, as well as Franchise owners. SERVPRO has been a state –approved Continuing Education Course Location and an IICRC-approved school since 1997. In May of 2005, SERVPRO moved to a new corporate location with an innovative and much larger Training Center. SERVPRO Industries, Inc. is one of nine organizations qualified to offer the Applied Structural Drying course. The Applied Structural Drying course covers the effective, efficient, and timely drying of water-damaged structures and contents, using comprehensive classroom and hands-on training, in order to facilitate appropriate decision-making within a restorative drying environment. Students will experience live, hands-on use of instruments, extraction systems, drying equipment, and chemistry use in an actual flooded building situation. Our uniformed team of professionals will arrive on-site usually within four hours of notification to begin providing a resolution to the water damage situation. Our Baldwin County team utilizes industry guidelines, knowledge, training and industrial equipment to examine the extent of the damage. Restoration services include moisture detection, water extraction, humidification and contents inventory. Closing the event work order in a timely manner through electronic claims reporting,consistent communication and professional restoration techniques. SERVPRO of Baldwin County available 24 hours a day, 365 days a year. If you need water damage cleanup and restoration, call SERVPRO of Baldwin County at 251-928-9625! In the restoration industry, there is more than meets the eye when it comes to water and the havoc it can wreak. A sheet of drywall standing upright in 1/2" of water can absorb as much as 6 inches in less than 3 hours. Water is known as a "universal solvent" because it dissolves more substances than any other liquid. Mold typically begins to grow within 24 to 48 hours in an untreated, moist environment. A puddle of water around a water heater indicates a slow leak, or rusted or corroded fittings. Act quickly as water heaters are under a great deal of water pressure. Category One-Water from a clean source that poses no risk of sickness or discomfort such as from an overflowing bathtub or from a broken water supply pipe. Category Two-Water that has a significant degree of chemical, biological and/or physical contamination such as water from a dishwasher or washer, or aquarium leak or discharged Category One water that sits untreated for more than 24 hours becomes a Category Two. Category Three- Water coming from a grossly unsanitary source or carrying disease causing agents such as releases from septic systems and flood waters or discharged Category One water that sits for more than 48 hours becomes Category Three, or discharged Category Two water that sits for more than 24 hours becomes Category Three. Disinfectants which are designed to destroy or inhibit the growth, but not necessarily the spores. Sterilizers which are designed to destroy all microorganisms and their spores, such as mold, bacteria, viruses, etc. 3/28/2019 - SERVPRO Teams Up with American Red Cross!